Audi A3 Saloon Running Costs, MPG, Economy, Reliability, Safety | What Car? Audi has employed a combination of aluminium and high-strength steel to help keep weight down and every model comes with engine stop-start technology. 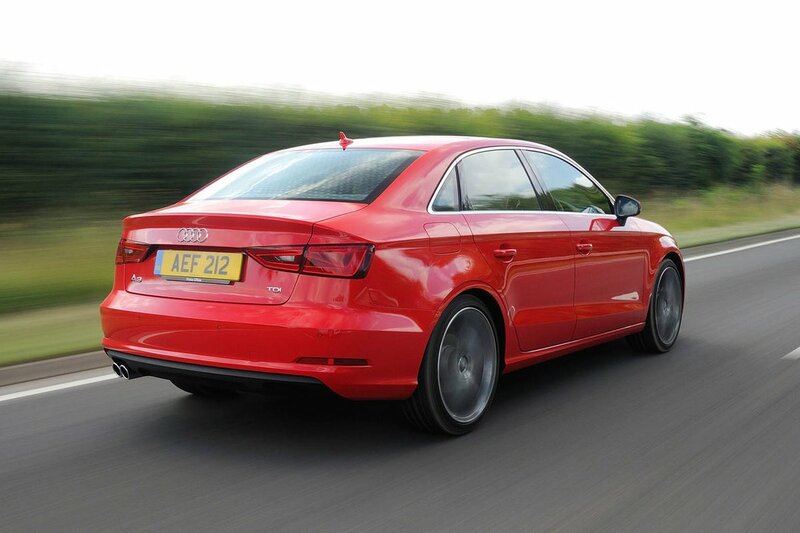 These measures ensure the A3 Saloon’s fuel economy and CO2 emissions are up there with the best in the class. The diesels, especially the 1.6 TDI, are most frugal; if you prefer petrol, then the 1.5-litre 35 TFSI is good as well – it'll return up to 42.8mpg combined on the WLTP test and put out 123 g/km of CO2. It's our favourite and remember, there's no four per cent diesel surcharge for company car drivers who opt for petrol. The A3 Saloon’s list prices aren’t cheap, but they’re lower than those of larger rivals such as the BMW 3 Series and Mercedes-Benz C-Class. PCP finance deals look tempting for private buyers – the A3 Saloon's excellent resale values help to keep monthly payments competitive. And even cash buyers stand to benefit from its low depreciation – it could even prove less expensive to keep over three years than a quicker-depreciating Ford Mondeo or Vauxhall Insignia. Audi has pitched the A3 Saloon further upmarket than its hatchback stablemate, so the A3 Sportback's entry-level SE trim is missing from the line-up. Even so, A3 Saloons aren't that well equipped compared to a 3 Series. Sport trim offers the best value for money and comes with dual-zone climate control, 17in alloys, part leather trim, cruise control and automatic lights and wipers. Step up to S line and you get 18in alloys, a bodykit, and LED headlights, with Black Edition adding privacy glass and, you guessed it, lots of black detailing. The S3 is a standalone high-performance model, but it comes with 19in wheels, bespoke suspension settings and body styling, as well as full-leather upholstery. The RS3 is similarly plush. There’s an extensive options list, but nothing comes particularly cheaply, so you’ll need to be careful to avoid adding a hefty percentage to your final bill. You may want to add one or two carefully chosen optional extras, though, such as lumbar support or a rear-view camera. Audi didn't do too well in our most recent reliability survey. The brand came 20th out of 31 manufacturers, finishing below BMW, but above Mercedes-Benz and Jaguar. However, individually the A3 Saloon itself rated well in the executive car category, finishing well ahead of rivals such as the XE and C-Class. The A3 comes with a three-year/60,000-mile warranty and three years’ roadside assistance as standard. That’s decent enough compared with the industry norm, but it’s some way short of the five-year cover offered by Hyundai and Toyota, and far behind the seven-year protection provided by Kia. You can pay a little extra to extend your A3 Saloon's cover for up to five years or 90,000 miles. All A3 Saloons have stability control as standard, as well as front, side and curtain airbags, a driver’s knee airbag and a pop-up bonnet that helps to minimise injuries to pedestrians. It's a shame that Audi’s Pre Sense system, which includes autonomous emergency city braking to automatically activate the brakes if it detects an impending collision, is an optional extra. Other optional kit includes rear side airbags and lane-keeping assist, which warns you if you start to wander from your lane. The A3 hatchback received a maximum five-star crash rating from Euro NCAP in 2012, with a particularly strong score for adult protection. Euro NCAP says it is satisfied that the A3 Saloon would offer a similar level of protection. 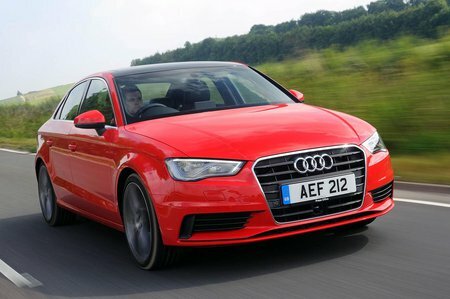 An alarm, deadlocks (which prevent a door from being opened, even if the window is smashed) and an engine immobiliser are fitted as standard, and the A3 Saloon received the maximum five stars from security experts Thatcham Research for resistance to being stolen. It also scored four out of five for guarding against being broken into. The A3 Saloon is wholly worthy of its premium executive billing, being good to drive, comfortable and beautifully finished inside. A BMW 3 Series is a better alternative if you want the ultimate handling executive car, or for those that need masses of space a VW Passat is a much bigger, but if a more compact car suits your needs, make sure the A3 Saloon is on your shopping list.